Interested in learning about how to make your own compost for agriculture, horticulture, your garden, or landscaping project? 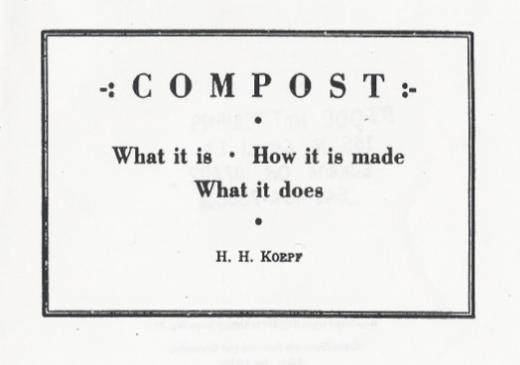 Thanks to the zinelibrary.info there is a 30 page DIY zine from 1980 (by H. H. Koepf, originally printed by the Bio-Dynamic Farming & Gardening Association) that has been preserved, scanned, and put up for FREE download on all things compost: How to make compost, types of compost, a guide to successful composting, equipment needed and more. Go here to learn more and for the download!